Netanyahu Says Two-State Solution Is No Longer Relevant March 08, 2015. As fo 2019, there were some 600,000 to 750,000 illegal settlers living in about 150 settlements across the West Bank and East Jerusalem. Nearly 400,000 Jewish settlers were living in the West Bank along with 2.8 million Palestinians. Another 200,000 Israelis live in East Jerusalem, an area claimed by Palestinians. The government of Israel stopped building any official new settlements in 1992, according to Israeli monitoring group Peace Now. That, however, did not stop the construction of unauthorized settlements in the West Bank. According to UN Human Rights Office, more than 100 unauthorized Jewish outposts with thousands of housing units have been erected in existing settlements in the last 25 years without the formal approval of the Israeli authorities. Israeli Prime Minister Benjamin Netanyahu said 05 April 2019 that he would annex illegal Israeli settlements in the occupied West Bank if he wins another term in office. "You are asking whether we are moving on to the next stage - the answer is yes, we will move to the next stage. I am going to extend [Israeli] sovereignty and I don't distinguish between settlement blocs and the isolated settlements." Donald Trump said 15 February 2017 that a peace deal between Israel and Palestine can be a one-state or two-state solution as long as both sides agree on it. "The United States will encourage a peace and really a great peace deal," Trump said during a news conference with Israeli Prime Minister Benjamin Netanyahu in Washington Trump also said that Washington was working to move the US embassy in Israel from Tel Aviv to Jerusalem. "I would like to see that happen. We are looking at it very very strongly. We are looking at it with great care. Let’s see what happens." A senior White House official said 15 February 2017 that peace between Israel and the Palestinians does not have to be through a two-state solution, and that it is up to the two parties to decide. The official said the United States will not "dictate what the terms of peace will be.... A two-state solution that doesn't bring peace is not a goal that anybody wants to achieve," the official said. "Peace is the goal, whether it comes in the form of a two-state solution if that's what the parties want or something else if that's what the parties want. We're going to help them." The U.S. official spoke to reporters on the eve of Israeli Prime Minister Benjamin Netanyahu's visit to Washington. Trump has given his son-in-law, Jared Kushner, the task of negotiating a peace deal. Netanyahu had spoken of a "state minus," suggesting he could offer the Palestinians deep-seated autonomy and the trappings of statehood without full sovereignty. The Palestinians want an independent state in the West Bank and Gaza, with the capital in East Jerusalem, which Israel seized in the 1967 Middle East war. UN Secretary-General Antonio Guterres has warned that there was "no alternative" to a two-state solution to the Israel-Palestinian conflict, after a White House official said peace did not necessarily have to entail Palestinian statehood. "There is no alternative solution for the situation between the Palestinians and Israelis, other than the solution of establishing two states and we should do all that can be done to maintain this," Guterres said during a visit to Cairo. The head of a German parliamentary committee on foreign affairs, Norbert Röttgen, was quoted by "Die Welt" newspaper as saying "the two-state solution is the only way Israel can remain a democratic and a Jewish state at the same time." Shimon Stein, a former Israeli ambassador to Germany, told the Bayerischer Rundfunk public broadcaster that abandoning the two-state solution was "unrealistic" and "a lot of blood would be shed" before both sides finally end up returning to the two-state solution. "If the Trump Administration rejects this policy it would be destroying the chances for peace and undermining American interests, standing and credibility abroad," Hanan Ashrawi, a senior member of the Palestine Liberation Organisation (PLO), said in response to the US official's remarks. "Accommodating the most extreme and irresponsible elements in Israel and in the White House is no way to make responsible foreign policy," she said in a statement. President-elect Trump signaled the last gasp of the two-state solution through his choice of ambassador to Israel. Donald Trump announced 16 December 2016 he would nominate David Friedman, his long-time friend, bankruptcy lawyer (used often) and campaign adviser on Jewish world issues, as US ambassador to Israel. Friedman is noted for his affinity with extremist Israeli settlers. J Street - the dovish lobbying organization that has been critical of some Israeli policies, charged that : "the nomination shows breathtaking disdain for the vast majority of American Jews who support the two-state solution, progress toward peace with the Palestinians and common decency in public discourse." Friedman contributed several opeds to The Jerusalem Post, on 20 October 2016 writing: " ... president Trump will trust Israel to seek peace as best it can, and will not attempt to impose a “two state solution,” or any other “solution,” against the wishes of the democratically elected Israeli government." Senior Trump adviser Kellyanne Conway emphasized that moving the embassy to Jerusalem had been a "big priority" for Trump. In the event of a two-state solution, Palestinian authorities have made clear that they want East Jerusalem to serve as the capital of their own separate state. Trump's decision to move the embassy to Jerusalem is therefore almost certain to provoke objections from the Arab world and Muslims further afield. On 06 February 2017, the Israeli Knesset also passed a law that retroactively legalises the seizure of private Palestinian land on which settlements have already been established. The law prevents Palestinian landowners from laying claim to their land if Israeli settlers are living on it, despite the fact that the settlers' presence in occupied territory is illegal under international law. 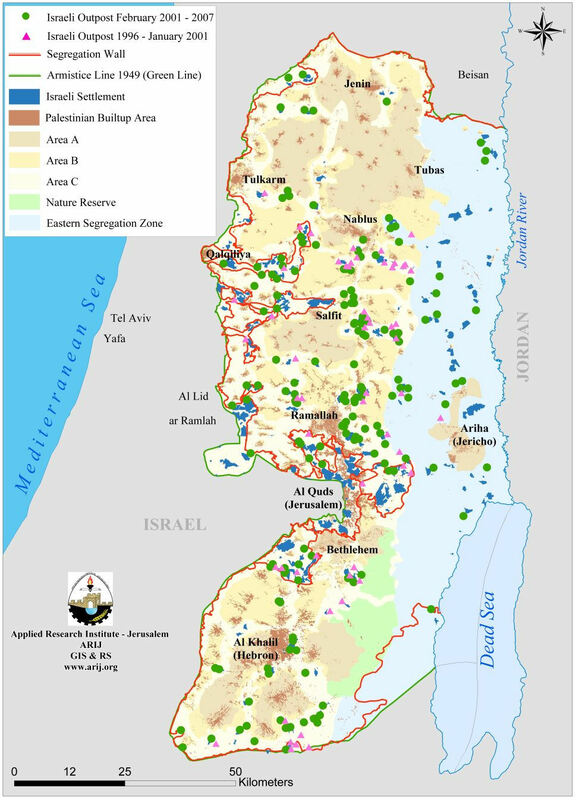 It has been estimated that the law will retroactively legalise 53 settlements and outposts - allowing for the expropriation of about 8,000 dunams (80 hectares) of private Palestinian land [roughly equivalent to Manhattan below Central Park]. 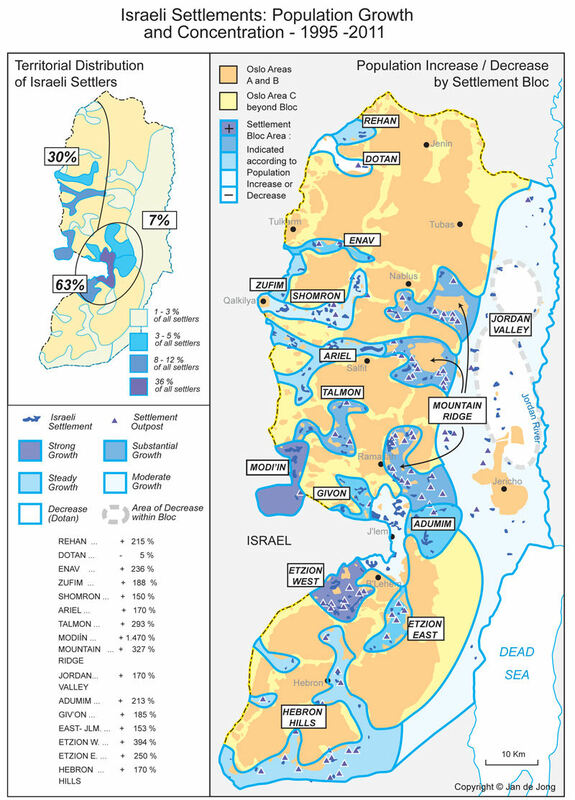 On 14 February 2017 Israeli President Reuven Rivlin supported the application of Israeli sovereignty over major settlement blocs in the occupied West Bank, and granting Israeli citizenship for Palestinians living near the settlement blocs. Rivlin is known as a staunch supporter of Jewish colonies. The Israeli president has never concealed his opposition to an independent Palestinian state. Although he is known as a hardline politician, Rivlin’s political stand is different from that of Likud led by Netanyahu, the party known for its rightist extremist agenda. Rivlin has said that “Israel is defined as a Jewish state, but we should not forget that it is defined at the same time as a democracy. I call on the Jews and my Arab brothers also to avoid incitement”. Rivlin spoke more than once of his support to a confederation of two states, Israeli and Palestinian, with open borders, united Jerusalem with a joint administration of its holy sites and two sovereign democratic powers. He said it was an initiative for “two states-one homeland” that proposes a confederation. By supporting colonies to remain where they are, the initiative provides an answer to the practical and ethical difficulty of evacuating the colonists. Sovereignty would be declared over all the territory under Israeli civilian and military control in the West Bank, known as Area C.
Deputy Foreign Minister Tzipi Hotovely [MK, Likud] encouraged more settlers to head to the West Bank during an event supporting West Bank settlements in Washington 28 March 2017. “We need to go to a million settlers in Judea and Samaria – with a US embassy in Jerusalem. We need to think of new ways of thinking that will include Judea and Samaria under Israeli sovereignty forever," she said. She went on to say that the notion of Israel occupying the West Bank is a "myth." “I always say that the occupation is a myth, because we never occupied other people’s land. This is Jewish land [Judea and Samaria]. This should forever be a Jewish land under Israeli law," she said, as quoted by the Jerusalem Post. “I think that now, 50 years after the Six Day War, it’s about time for us to say in a very clear way: Half a million Jews live in a Jewish land. We’re not occupiers in our own land. And this is why we have the natural right to build in Judea and Samaria. The most important thing is for the American administration to understand the needs of those communities, where after eight years of having no ability to plan new buildings, I think it’s about time for us to say: We need this like air to breathe,” continued Hotovely. Since January 2017 the Israeli government, emboldened by Donald Trump's inauguration, has authorised the construction of more than 6,219 illegal settlement homes in the occupied West Bank, including 719 in East Jerusalem. On 30 March 2017 Israel's government approved the building of the first new settlement in 20 years in the occupied West Bank - a move swiftly condemned as an obstacle to peace based on a two-state solution. The move - illegal under international law - was adopted less than a week after the United Nations criticised Israel for not taking any steps to halt settlement building on occupied Palestinian territory, as demanded by Security Council in Resolution 2334 passed in December 2016, adopted with 14 votes after the United States abstained in the vote. The unanimous vote in favor of construction of the new settlement in an area called Emek Shilo was announced in an Israeli government statement.